This is a guest submission from Dan Falcone. 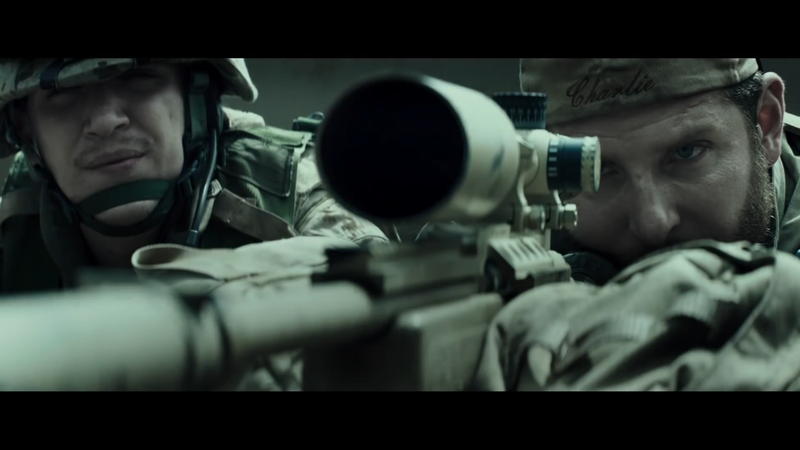 Dan Falcone analyzes the film, American Sniper and its underlying meanings. He suggests that the film is an opportunity for the organized left to give a larger meaning and historical context for learning why the film is so popular. 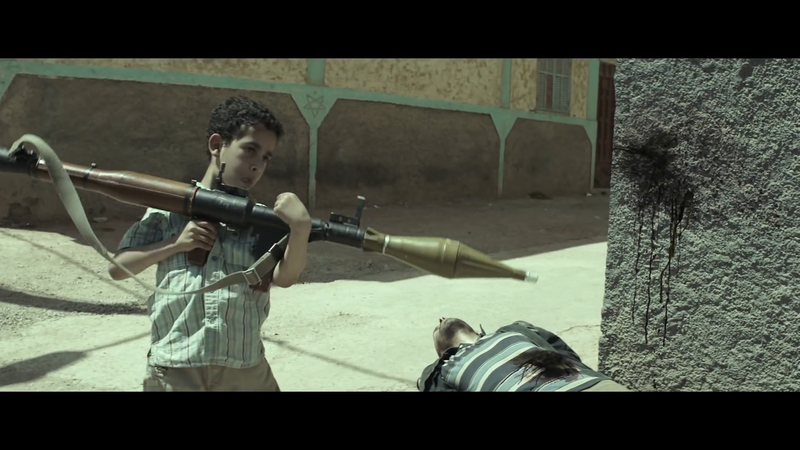 American Sniper is a very dramatic film about a soldier in the Iraq War. It was directed by the right-wing Clint Eastwood. The film is based on an autobiography about Chris Kyle. It seems to set out to draw commercial appeal by having you know that Kyle possessed the deadliest shot in American Military History. The film premiered in November 2014 at the American Film Institute Festival, and had a more widespread release in January 2015, setting many box office records. It has brought in over 200 million dollars. In my view, the overall lessons and main ideological points of the film are the following. First is the notion of patriotism in American males often set forth by the influence of a strong male figure in the formative years of youth. For example, Kyle’s father teaches him how to shoot a rifle in Texas as a young man. The second notion is that in order for a person to carry out these unnatural desires, such as killing, they perhaps at some point need to exist in an extremely limited information environment. 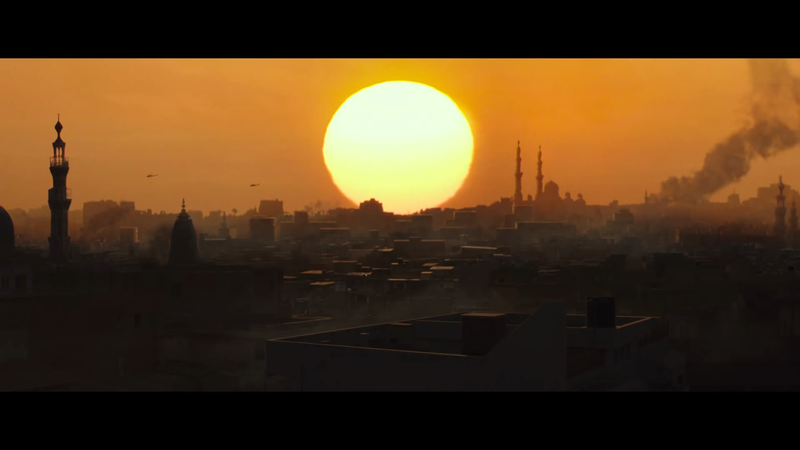 For instance, the film suggests that Kyle saw news coverage of the 1998 US embassy Kenya-Tanzania bombings. This, according to the story gave him the motivation to enlist and engage in an over-simplified battle of “good vs. evil.” This bombing of a US embassy was no doubt a terrible crime, and at the time, the US lacked evidence for responsibility. It was later learned to be in retaliation to our fickle and dangerous invasion of Saudi Arabia that entailed permanence in 1990. The 1990 US action in Saudi Arabia came soon after we vowed to (and heavily armed) Osama bin Laden that Russia would not permanently occupy Afghanistan just years earlier. Military recruiters nevertheless used this as an opportunity to attract hyper-patriotic enlistees with a desire for revenge but without a connection to the history or geo-political nature of the region. Another message in the film, in my view, was that it was somehow noble, and not bizarre, for Kyle to keep returning to the battlefield for a war of false pretexts and in the face of his family concerned over his well-being. His wife’s wish for him to not participate in a fourth tour suggests that the country always came first. Furthermore, we never see designers of American foreign policy questioned or the elementary purpose of the war centralized: strategic energy and hegemony. The additional purposes of the film were clear to me. One is the obvious legitimizing of the war in Iraq after historical amnesia has had time to set in. Another is to promote the false idea that American power has a problem with fundamentalism and its threat to our freedoms; when in fact fundamentalist regimes in the region and elsewhere has often served our national interests and do nothing to impact our internal freedoms. Third, we are to believe that the World Trade Center bombing in 1993, the US Embassy bombings of Kenya-Tanzania in 1998, the bombing of the USS Cole of 2000, and the horrendous events of September 11, 2001, all correlate and boil down to Bush’s war in Iraq and Kyle’s specialized missions. This is not stated, but it is presupposed. This reduces history and frankly Islam to an error-filled narrative of illogical connections based on ahistorical tales of American state power and how it is exercised. Lastly, I suppose it is Eastwood’s statement on how President Obama does not have the stomach to invade Middle East countries or engage militarily with the Arab world. For this inaccuracy I simply invite you to read William Blum’s essays on Obama’s interventions. One valuable segment of the film is to notice the realities of PTSD as a possible affliction that Kyle experienced. Here again, is an opportunity for the viewer, and the left, not to criticize young men inadequately trained with angst, but for the realization that war is a rich man’s profit and a poor man’s fight. But even here, it is hard to comprehend Kyle, who does not ever question his mission and purpose, but it is his guilt of not protecting his men in what was an illegal mission in the first place. This gives unwarranted cover to the likes of Bush and Cheney. Also, veterans I have spoken with are skeptical of someone like Kyle who would return home to teach people how to shoot guns when their own experience included an inability to look at a gun upon returning home. But again, it is the architects of policy for these wars that are responsible, not the insecure, exploited Chris Kyles of the world or any individual that would fabricate a mythical fight with Jesse Ventura just to double down for their own self-worth. It is the US government that hurt Chris Kyle. Finally, I would urge the liberal elite and media to not simply ridicule the film or military personnel like Chris Kyle. Soldiers that are victimized by propaganda are not to blame or be made fun of. The most culpable are the people in positions of power that design illegal interventions based on aggression and utilization of state power to secure dominance and influence in the world. Dan Falcone has a master’s degree in Modern American History from LaSalle University in Philadelphia and currently teaches secondary education. He has interviewed Noam Chomsky, Edward Herman, Richard Falk, William Blum, Medea Benjamin and Lawrence Davidson. He resides in Washington, DC.